If the first two episodes of Cartoon Network's Star Wars: The Clone Wars are any indication, the future of the franchise is looking better than ever. One thing is for sure -- this ain't your Daddy's Star Wars. Early in 2005, George Lucas confirmed there would be an animated series coming to the television screens everywhere and three years and a feature film debut later The Clone Wars are upon us. The new series will be composed of adventures that took place during the Clone Wars, an area of interest to fans ever since those words were uttered over 30 years ago in the original film. What were the Clone Wars? How do they factor in to the events that followed? Finally fans will have those questions answered. Lucas had expressed that he had to forgo delving too deep into the tale of the Clone Wars because they were not a main element in the story he was telling. In Attack of the Clones, fans got their first real taste of what the wars were about and have been salivating ever since, hungering for more. The best way to describe the new series is like that moment between the waking state and the dream state. The time where images become surreal and the two worlds blend seamlessly together. Instead of sticking to a photorealistic idea, the team of animators, spearheaded by Supervising Director Dave Filoni, decided on a more stylized look. The results are amazing. Worlds, ships and characters fans have grown to love have been re-imagined, looking the same, but more cool. But I think it will be the introduction of some new characters that will be a deciding factor of the series expanding its fan base. Ahsoka Tano is a teenage Padawan to Anakin Skywalker and is the biggest breath of fresh air the series has seen in a long time. It will be interesting to see what effect Ahsoka will have on Skywalker's future. Is she a catalyst for his turning to the dark side? Is she why Anakin's anger toward Count Dooku seems to have grown tenfold between the events of Attack of the Clones and Revenge of the Sith? The success of the series could very well hinge on this character's acceptance. Actress Ashley Eckstein captures the impulsiveness and impatience of Ahsoka to perfection. Another aspect that will set this series apart and make it a must see is the storytelling. In just two episodes, the filmmakers achieve a level of intensity that is remarkable. It actually feels like a two-hour movie compacted into a half hour time slot. Filoni is a confessed Jedi Master Plo Koon fan, so it was no surprise that Master Koon had a starring role in the series premiere. After encountering the new super weapon of the Separatists, Koon and some clone troopers must fight for survival after their fleet is destroyed and it's up to Skywalker and Tano to come to the rescue. 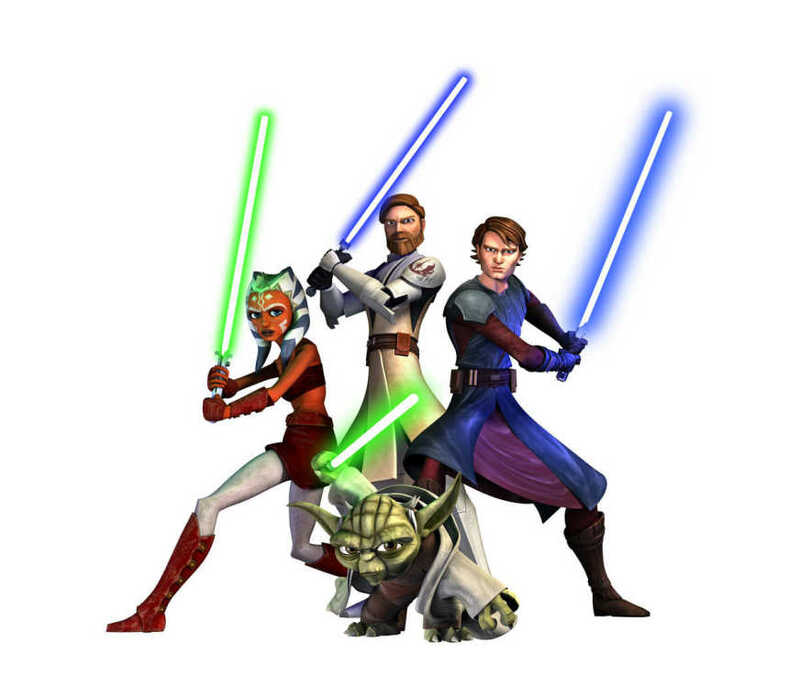 In the second episode, Master Yoda must outwit the devious and sultry Asajj Ventress and her droid army in order to convince a neutral leader to pledge his allegiance to the Republic. The writing of Yoda is another achievement for the filmmakers. Truer in wisdom to his original appearance in The Empire Strikes Back, he is. After the completion of the Skywalker saga, it wasn't clear what the future had in store for fan, but with the animated series debuting on Friday and a live-action series in the works, the future of Star Wars looks as solid as ever. Final Cut: Exactly what you expected, yet nothing like you've experienced before; The Clone Wars is an achievement on so many levels. Lucasfilm Animation sought to bring a big screen adventure to the small screen without sacrificing a thing. The result? A half-hour adventure that is guaranteed to leave loyal fans eagerly anticipating the next installment and bring new fans to the fold. Premiere: Cartoon Network Friday, 9 p.m.